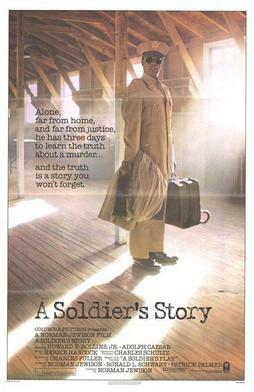 This entry was posted in Film, Film Review and tagged A Soldier's Story, Adolph Caesar, Art Evans, David Alan Grier, David Harris, Dennis Lipscomb, Denzel Washington, Film, Howard E. Rollins, John Hancock, Larry Riley, Lisa Marie Bowman, movie, Norman Jewison, Patti LaBelle, review, Robert Townsend, Trey Wilson, William Allen Young, Wings Hauser. Bookmark the permalink. Howard Rollins was Denzel Washington before Denzel Washington became Denzel Washington.